When hiring someone to do a task, what do you look for? Of course-expertise and a dedication to a particular skill! Would you rather hire a plumber who also does drywall, interior design and carpentry or a plumber who dedicates him/herself completely to the business of plumbing? When we started Disappearing inc., we knew there were many other very lucrative laser procedures we could perform. From hair removal to vampire facelifts the esthetic industry is coming up with new procedures every day, many of which are extremely profitable. But we knew, even then, that to be the best at a particular skill, one must do more of that than anyone else. We chose to focus exclusively on tattoo removal, because we wanted to be the best at tattoo removal. Though we left a significant amount of money on the table by choosing only one path, we know that this has allowed us to be a leader in the industry and has led to our expertise. Our laser in Boston is one of only a handful of lasers in the country with almost 10 million shots-and one of a very few that got to that number in under three years! 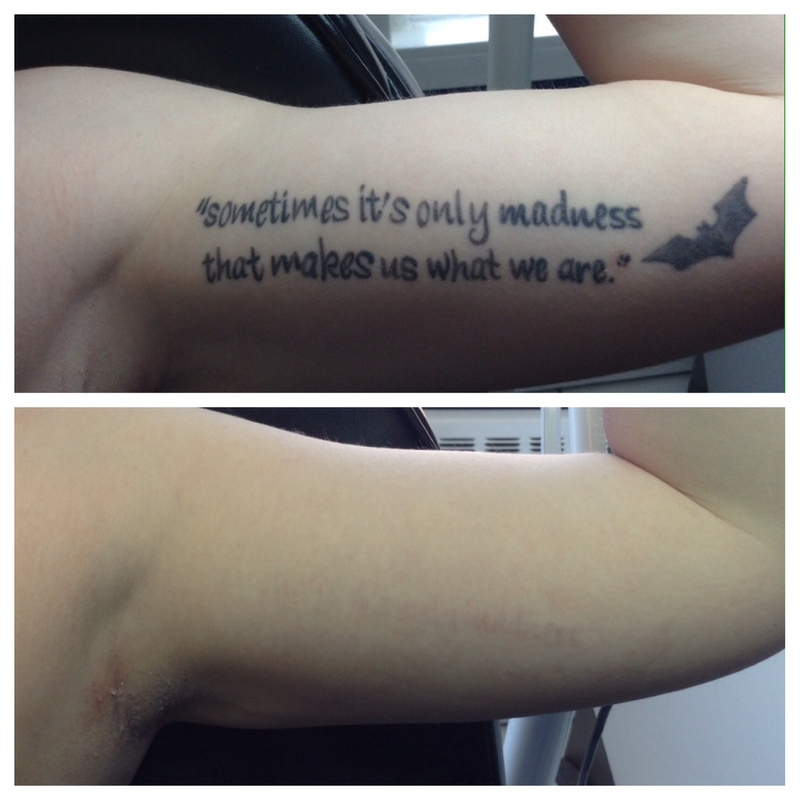 To be the best, we dedicated ourselves to focusing exclusively on one thing; removing tattoos better than anyone else. To learn more about laser tattoo removal from our specialists, visit Disappearing, inc., Facebook, Google + or call us for a Free Consultation at 617-477-8636 to visit us at 128 Tremont Street, Boston, Massachusetts 02108, 150 Cochituate Road, Framingham, Massachusetts 01701 or 28 Elm Street, Braintree, Massachusetts xxxxx. « Laser Tattoo Removal Expert?-How to Be One!